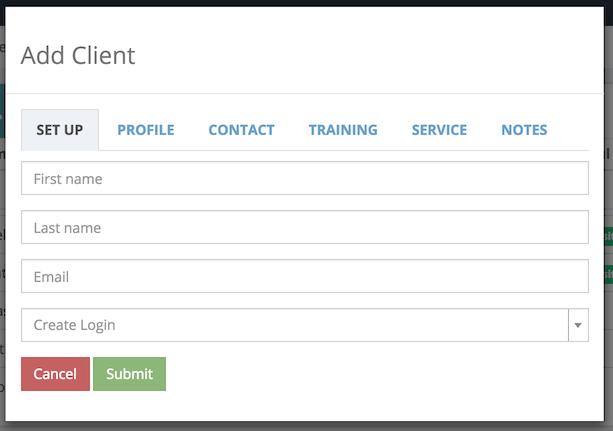 Inviting a client to TrainerSync will allow your client to log in and track their own workout and nutrition data. 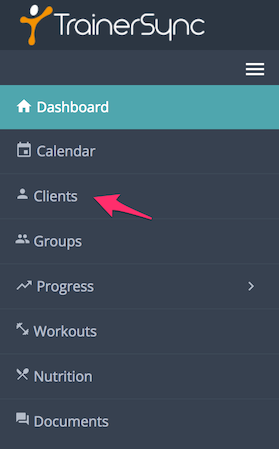 When logged in to your dashboard you will see a navigation menu on the left hand side of the page. Click the “Clients” icon and text to access the Clients page. On the right hand side you can see a “Add Client” button. Click here. Enter your clients details in the popup that appears. Only the name and email address data is required. You do not need to complete every field. Click the “Create Login” field and select “Yes, send invitation now” from the drop down menu. We will send an invitation to the email address you provide. Clients will then be able to log in and track their progress, workouts, nutrition, send and receive documents, and book sessions with you. If you have already added a client, but haven’t invited them yet you can send an invitation via the client’s profile. Click on a client’s profile, then click the “Update” button in the top right. Click the “Allow access to TrainerSync” field and select “Yes” from the dropdown menu. We’ll send an invitation to your client. TrainerSync is the online business management platform for fitness professionals and their clients.